The little red wagons represent childhood dreams and adventure for most of us. Even if you never had one as a child, you know these enduring symbols of childhood inspire excitement and imagination in anyone who sees them. 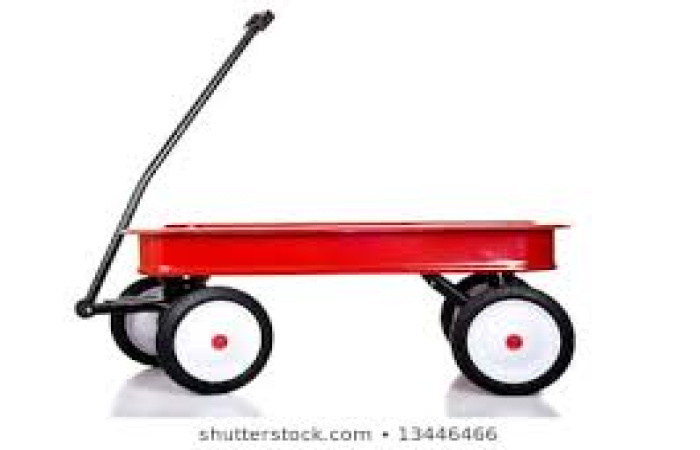 That’s the spirit of Build a Wagon, a wagon team building workshop that has your team building red wagons for local kids or families. It’s a message of hope, one which will bring your group together as they experience the bonding effects of working together for a cause. Our facilitators lead your group through a series of modules based on tried-and-true principles of learning. Participants are engaged by the thought-provoking activities and the fun challenges. The charitable aspect keeps them even more motivated to succeed. A Message of Hope – Your Message of Hope! Since little red wagons can be filled with just about any type of treasure (optional for an additional fee), our Build a Wagon workshop is fully customizable. Does your company already have a strategic alliance with a local or national charitable organization? We’ll tailor the contents of the wagons to fit that organization’s mission. Or if you’d like, simply tell us what you’d like, and we can even form new alliances by reaching out to make those connections for you. We can develop a partnership with whatever cause fits your corporate style. The Build a Wagon Team Building Workshop is fully customizable in other ways, too. This is normally a 2 1/2-hour workshop but if you’d like to dig deeper into issues your team may be facing, or you’d like to concentrate on a skill (e.g. collaboration) let us know. We can combine the Build a Wagon workshop with a classroom-based corporate workshop for a full day’s worth of activities and events.